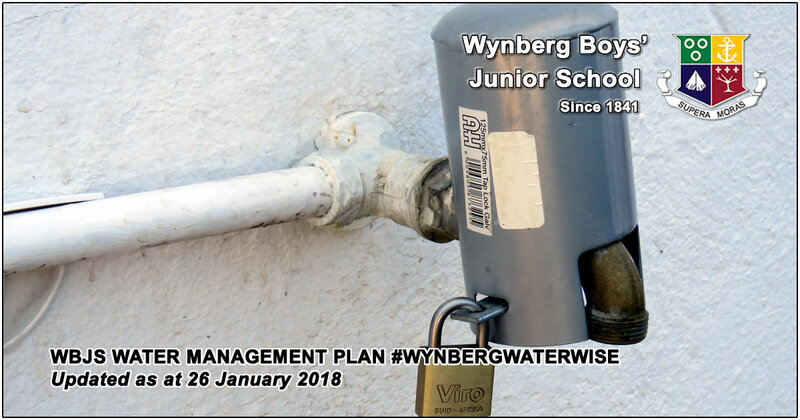 As the countdown to Day Zero starts in earnest, and the City of Cape Town reduces the target water consumption per person daily to 50 Litres, Wynberg Boys’ Junior School is looking at measures to further reduce consumption and makes the school less dependant on municipal water. The water saving initiatives we have already implemented at the school over the past few months and measures which we are currently putting in place, are listed below. Our aim is to keep the premises open to learners. A drought uniform whereby boys may wear their sports kit if they have sport or PT on any given school day. Our boreholes were installed in 2017, these irrigate the sports fields and are used to top up the swimming pool. Our water draws water from a sustainable supply, and to date has shown no fluctuation in the water table level. JoJo tanks, each with a capacity of 10 000L, have been installed and filled daily. We have reduced the watering of the grass, and irrigation will take place in the evenings and at night (our irrigation system is automated) so that we minimise the evaporation, and the wind is often less in the evenings. Additional JoJo tanks are on order. The pool is covered as often as possible to prevent evaporation. Depending on the crisis we may cease use of the pool and divert that water to the ablution facilities in the pavilion. Indigenous and water-wise plants have been planted in the Fountain Quad, Grade R garden and the aloes have been maintained in front of the pavilion. Various grades have made “recycled flowers” to decorate the front quad planter boxes, these will additionally be filled with bark or gravel for a more aesthetic appeal. Taps around the facility have been fitted with lockable devices restricting the access. The water cylinders have been switched off in the pavilion. The guest side to the pavilion remains permanently locked. Toilet blocks (deodorisers) have been placed in the urinals and these urinals are manually flushed twice daily. Waterless hand sanitisers have been placed in all toilets and bathrooms. Staff and learners are encouraged to flush toilets less – one toilet in each block will be allocated for regular flushing. Flow regulators have been adjusted in the flushing toilets from 9 liters to 5 liters per flush. Estate staff have been briefed on minimising the amount of water used to clean and to reduce and reuse where possible. Various chemicals have been introduced to use as a spray for floor care instead of water. We are investigating further waterless cleaning opportunities. 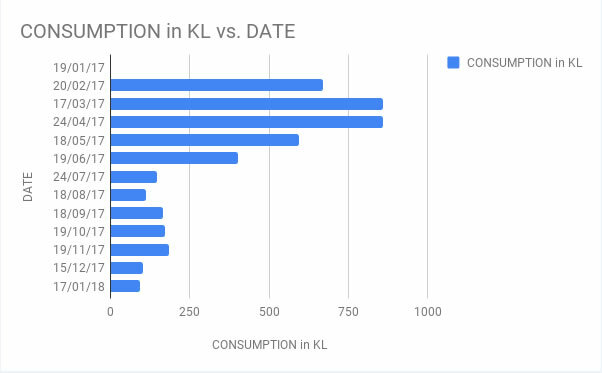 Water meters are monitored on a regular basis to identify potential spikes in consumption. 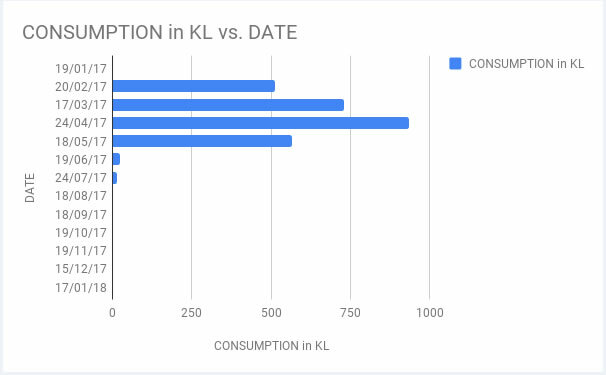 Attached are the consumption figures from since January 2017. Each staff member and learner should be encouraged to bring 500 ml to 2 liters of water for personal consumption on a daily basis from home. The school has been approached by the City of Cape Town’s Disaster Management Team with a view to using the school as a water collection point should Day Zero be reached. We will keep you informed as things develop. I will be attending a Water Crisis Meeting with Premier Zille next week together with other school principals in the greater Cape Town area to discuss proposed measures and assistance to schools. The Provincial Government intends to ensure that schools remain open and operational should Day Zero be reached. Consultation is currently underway with a plumbing company to restrict water flow to the toilets and bathrooms. Various toilet blocks will be closed as the crisis escalates.The pool will serve as a reservoir when Day Zero arrives and we will use these ablution facilities exclusively. Should you wish to send a bottle of hand sanitiser or a packet of wet wipes to school for the classroom or aftercare it would be greatly appreciated. The current situation is alarming and requires concerted efforts from us all to conserve and use water responsibly both at home and our workplaces. There is no drought manual for the school and any decisions made are done so after much consultation. We may also need to make different decisions if things worsen. Please support our initiatives and decisions.